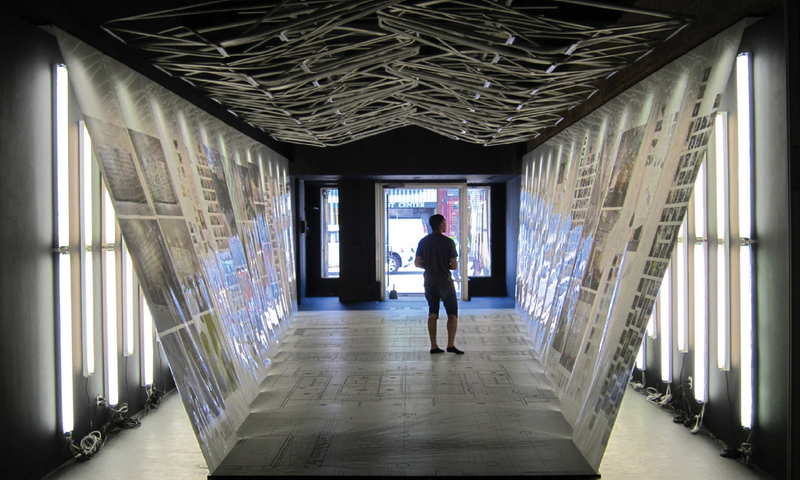 This exhibition is located in a storefront on Hollywood Boulevard. 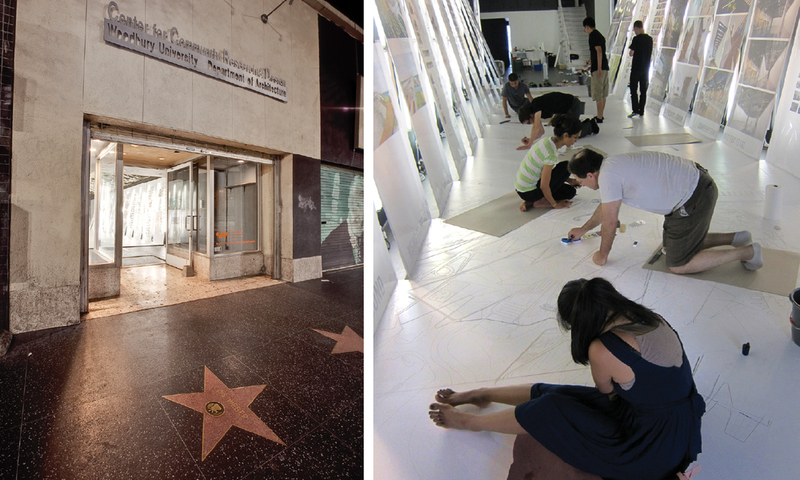 In order to mimic the glorification of plan enacted by the embedded stars of the Walk of Fame, this installation carves the plans of four LTL projects into a new floor that runs down the center of the gallery. The projects, which vary in scale from 69 million to 108 square feet, are positioned from largest to smallest, starting at the street. The floor’s width also decreases as one moves into the gallery. 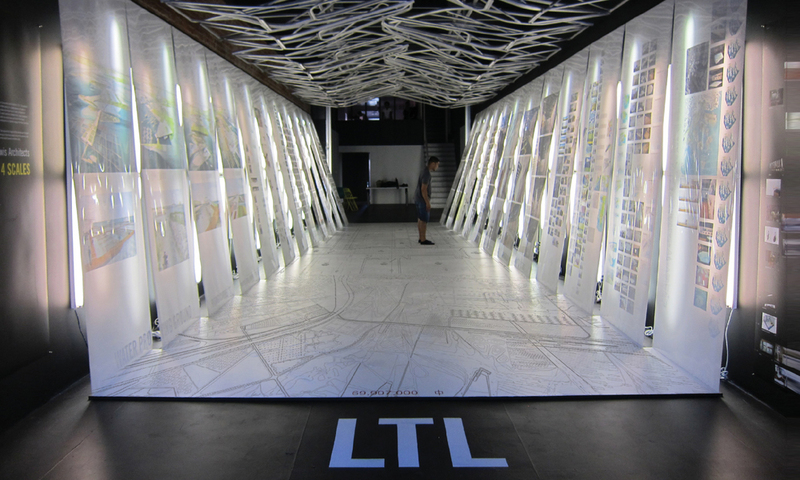 Anchored to the floor and stretched to the wall, images related to each project are backlit by a field of fluorescent lights. This forced perspective, with illuminated gill-like spaces, makes the exhibit appear longer when viewed from Hollywood Boulevard.